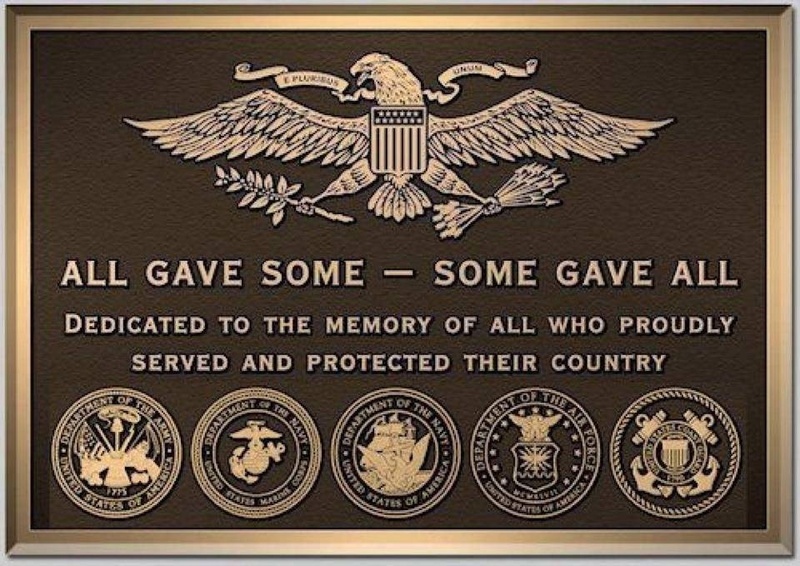 Being truly grateful to our military past, present and future as well as to their families seems such a small gesture when one really thinks about it, however not being grateful or not saying at least a thank you is a true travesty. Yet many Americans have chosen the latter. It may be that many of our military enlisted for various reasons, some were called to duty, but no matter how they became a part of our military, we owe each of them a debt of gratitude far beyond what we could ever come close to repaying. The same debt is owed to their families for they have made many sacrifices as well. The rights and privileges each of us maintain are ensured by the military who defend us, guard us and believe in the greatness of our country. Without their unwavering loyalty, bravery, and pride America would not exist as a free and independent nation. No matter our differences in politics, religions, races…each man or woman soldier, sailor, marine, air force person and national guard carries inside of them a quality that outshines most of us. They share and spread that beacon of light throughout this nation. That light never goes out because of their service and their sacrifices. There are thousands who have given or lost their lives throughout the generations and those men and women must never be forgotten for this ultimate act. We can never repay this act of bravery ever. The very least we can offer is our eternal gratitude. By this simple gesture we are showing our respect to these individuals. It has nothing to do with whether or not we believe in wars. Or in the opinions of our politicians. On this day a gesture of gratitude merely recognizes our military and honors them for keeping our nation safe. It allows all to see and to know how important our military is to each of us and that no matter the differences so inherent in this country we are United because of their commitment to service, their bravery and their beliefs. A thank you costs us nothing but gives us so much. So please during your day today say a Happy Veteran’s Day’ thank you to a military person and their family with true feeling for their unmatched commitment. And that’s the Way I See it here in Brooklyn!